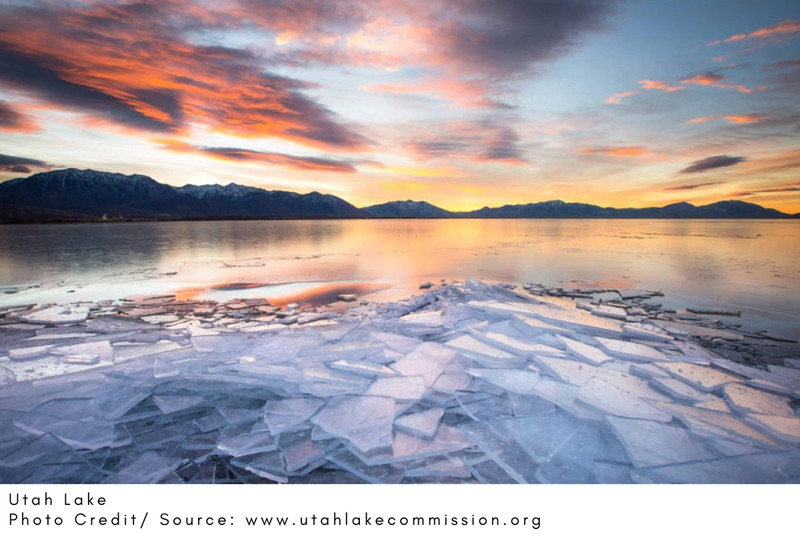 Utah County is home to endless outdoor activities which can be well explained by the numerous State Parks, camping locations, and lakes. The first step to an eventful trip is planning beforehand – and that includes familiarizing yourself with some of the best spots to spend time with your loved ones. 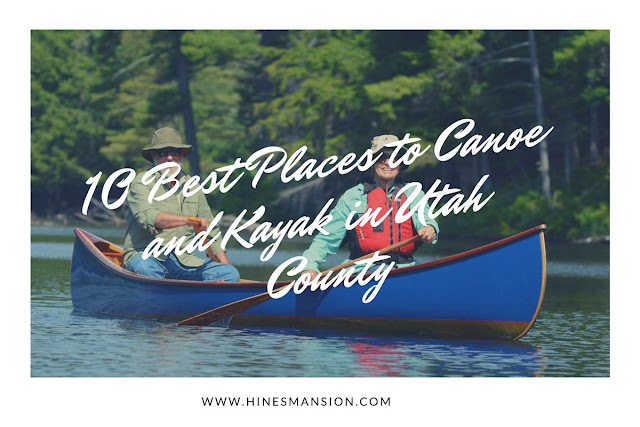 Below are the 10 best places you can canoe and kayak during your next trip to Utah. 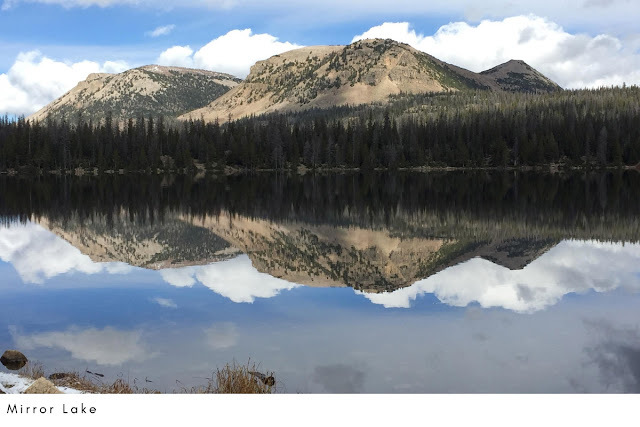 Located high in the Uinta Mountains, Mirror Lake is best known for its scenic beauty and abundant recreational activities. The lake’s name originates from the almost perfect reflection of the surrounding mountains and trees often seen from the shore. Among the recreational activities they offer are canoeing, kayaking, and fishing. There are a big parking lot and a campground consisting of several single and double campsites. If you are looking forward to camp these sites, you might consider choosing one with a view of the lake. There’s also an amphitheater in the campground that offers live music and other activities throughout the weekend. Although the access fee is $8, the experience is definitely worth your money. 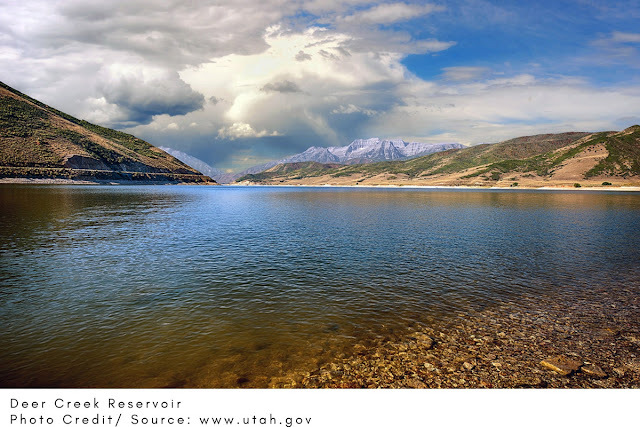 The Lower Provo River is a scenic 17.5 miles of whitewater starting below a dam and ending at Utah Lake. It is a short distance starting outside Provo and ending in the outskirts of the city. Even so, it is the short distance that makes its recreational experience great, most especially for paddlers. The run takes you through the Uinta National forest giving you a spectacular view of the beautiful surroundings along its river bank. The run is quite convenient because it ends close to the City of Provo which brings easy access to services such as restaurants, motels, stores, and other things that might be essential to a paddler at the end of the trip. 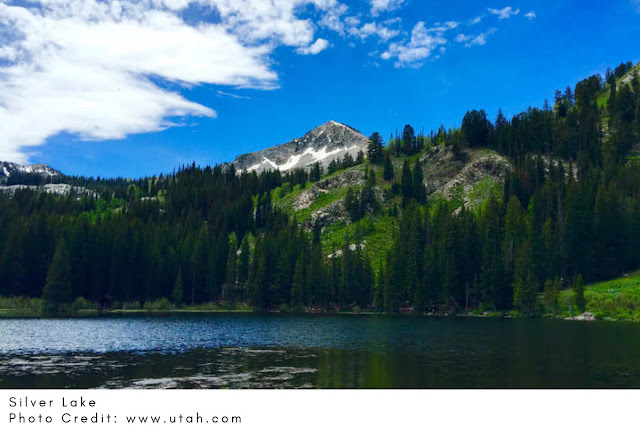 Enjoy recreational activities such as kayaking, canoeing, skiing, sailing, and fishing while enjoying the epic view of the beautiful Wasatch Mountains surrounding the lake. It is specifically recognized from its fishing activities dating from 1930 when the state’s record trout was caught weighing 26.5 pounds. If you are looking for some fun fishing with your loved ones, this is definitely the place for you. Utah Lake is a 148 sq. miles shallow freshwater lake lying in Utah Valley. Besides fishing and swimming, Utah Lake is also an excellent spot for canoeing and kayaking. Its waters have an average temperature of 75 degrees – making it an excellent spot for swimming. The lake is most favored by its proximity to easy access points. There’s an entrance fee at both the Lindon Marina and the Utah Lake State Park entrances. If you want to avoid the rental fees, you can bring along your kayak and enjoy the ultimate freedom in the water. Silver Lake Flat Reservoir is located up the American Fork Canyon, past Tibble Fork Reservoir. Its crystal clear water is so tempting that you'll want to take an immediate plunge. There are fewer crowds here, so you can freely enjoy yourselves. There’s, however, no camping allowed within a 1/2 mile radius around the lake – not unless you want a ticket from the forest service officials. The lake is also only accessible via a dirt road so be prepared to get some dirt on your car. Nonetheless, it is still a beautiful and rather peaceful place to kayak and canoe. Being the second largest man-made lake in America, Lake Powell is one of the most visited spots in Utah, especially during summer. Be prepared to show up and leave early to avoid traffic and congestion. Lake Powell is extremely popular with boaters – including kayaking and canoeing. Paddle through while enjoying the surrounding landscape with weathered red and yellow rock sculpted into caves and arches. Furthermore, what could be more interesting than paddling your way below towering high canyon walls? The most recommended launching spots are the Lone Rock, Stanton Creek, and the Glen Canyon Beach camping area. The Green River flows from the Wyoming Wind River Mountains, heads south into Utah, east to Dinosaur Monument in Colorado, before heading back south to Utah where it finally joins the Colorado River. As the name suggests, a trip along these waters will take you through miles of great scenery and wildlife. I would suggest you bring a camera with you to capture the many geological wonders as the river cuts deeper into the canyons. The river is most crowded after April 15th when the water levels are high. I would discourage you from taking a trip during the July/August summer heat, as there is little to no shade. Located approximately seven miles up the American Fork Canyon, Tibble Fork Reservoir is best known for its scenic views and blue waters. It is considered to be a beginner level because of its small size and calm winds. So, if you are a newbie planning to start out on some kayaking and canoeing, this is definitely your place. Also, be prepared for the $6 three-day pass charged either at the American Fork Canyon entrance or near the opposite end of Alpine Loop. If you are looking for a spot with a great mountain view and a preferably lesser crowd, Deer Creek Reservoir should be your place. 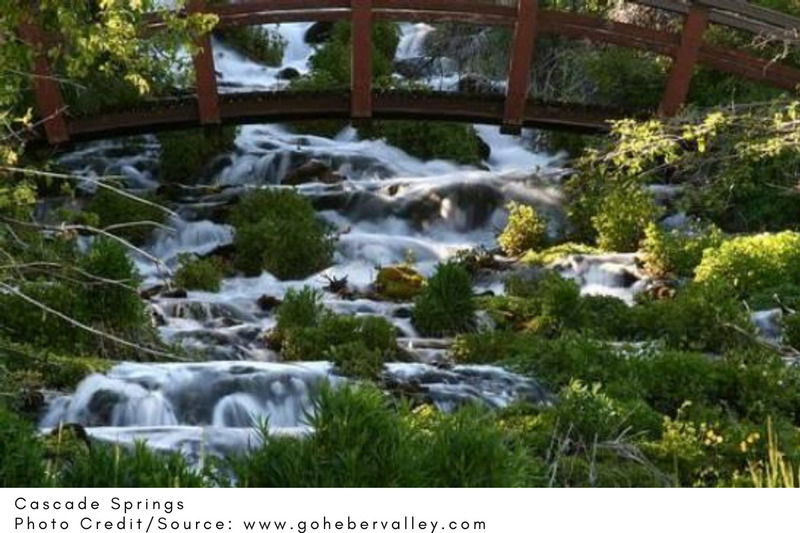 It is located in Heber Valley, a short drive from Park City. It is a scenic spot and it offers various recreational activities including kayaking, water skiing, and much more. It is highly recommended that you set off early in the morning to beat the lake winds in the afternoons. There’s also a $10 day-use fee since it is a State Park. Beside kayaking and canoeing, you can also sign up for one of the many camping and ziplining activities. Red Fleet State Park has a 750-acre reservoir which makes it a perfect spot to paddle through while enjoying the rather ancient environment. The park is famous for the numerous dinosaur tracks in the area. Because who would want to miss a chance of viewing 200-million-year-old dinosaur tracks? Should you choose to explore the tracks, be prepared for the 1.5-mile hike that can prove to be somewhat strenuous because of the uphill and downhill sections involved. You are also advised to hike early in the morning or late in the afternoon since the tracks are hard to see in direct sunlight. Before engaging in any activities, it is essential that you observe safety procedures first. Check out with the boat rentals, a marina, or visitor center for current weather forecasts. You can check with your guides or visitor centers for a map with specific details of where you are going. Also, don’t forget to carry the recommended safety equipment with you. Even with its rather harsh and dry environment, Utah still has some of the most beautiful waterfalls around. The hikes to these spots vary in length with some being quite long and others relatively short. We have compiled a list of 13 easy waterfall hikes in this region that have a relatively short roundtrip and thus perfect for a family outing. Battle Creek Falls is located in Pleasant Grove – on the same trailhead as the ‘G’ hike. 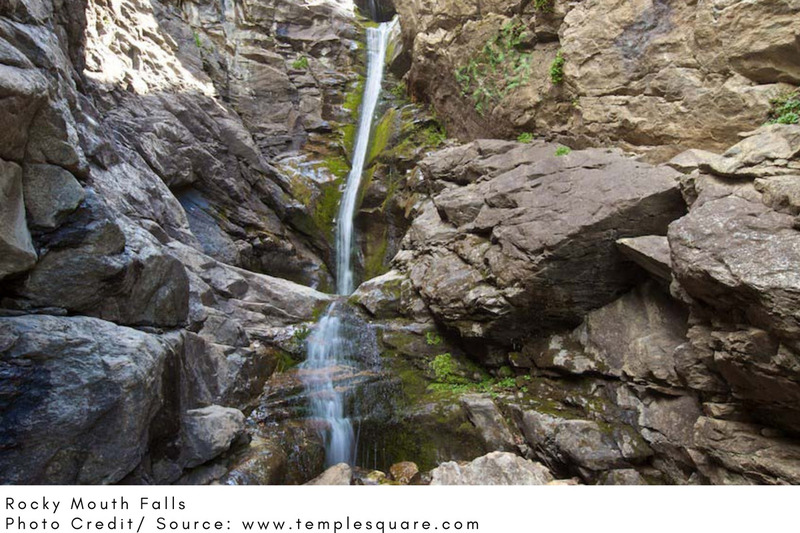 It is a popular waterfall because its trail is wide and has a slow, steady climb leading to the Falls. You can walk alongside the river while enjoying the scenery around including a small cave along the Battle Creek trail. The little stream below the Falls is a perfect spot for fun activities such as wading. The trail leading to the Battlecreek falls is 1.5 miles roundtrip. It will cost you $6 to drive to these Falls which are located on the Mirror Lake Highway. 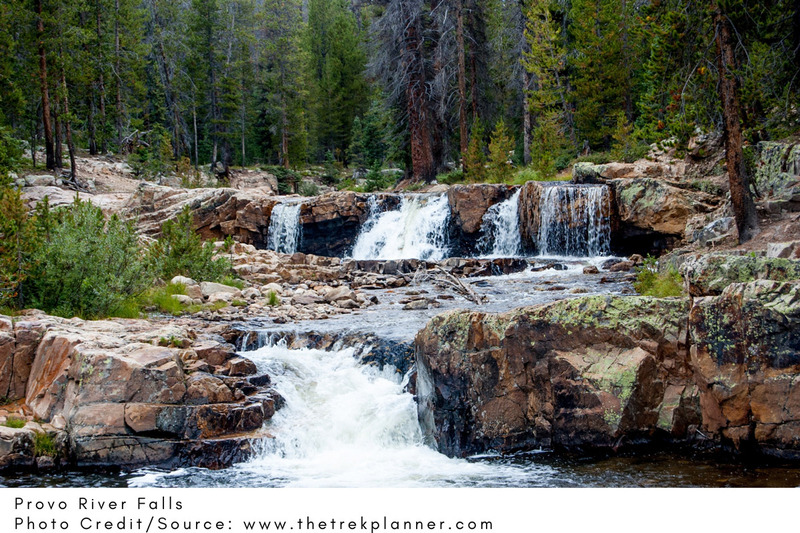 The waterfall is quite simple and it has a few stairs leading to a beautiful view. Its trail along the river will lead you to several spots where you can comfortably enjoy the surrounding scenery – and wet your feet while throwing pebbles into the water. The trails to the Falls vary in length depending on how far you walk down the river. Even so, you will walk for approximately 1/4 miles total. The water from these Falls pours into a donut-shaped rock and thus its name. 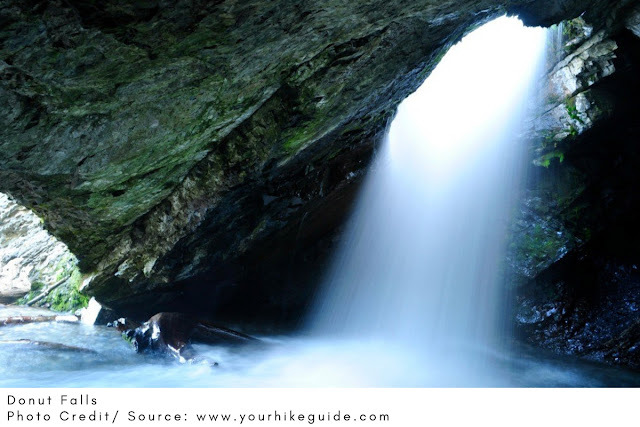 Its surroundings are quite beautiful which explains why it is a very popular hiking trail. During summer, the parking lot for this trail fills up very quickly and you may have to take a longer hike should you decide to park further down the road. You might, therefore, consider heading there early in the morning, especially if your planned hike is during the summer. The round trip to the Donut Falls is 1.5 miles in length. It is probably less than 5 minutes walk to these Falls located on the S-curve in Big Cottonwood Canyon. Visitors, most especially kids, love standing by the waterfall and feeling the water spray on their faces. If interested, you can also join other rock climbers climbing the steep rock wall. The trail is flat thus easy for a hike. It is also relatively short - less than a quarter mile roundtrip. The Ghost Falls are situated behind the LDS Draper Temple in Corner Canyon. You can access it from two trails: one about three miles long and completely flat, or a hike from the other side with a 1.8-mile round trip – and a little steeper than the first. 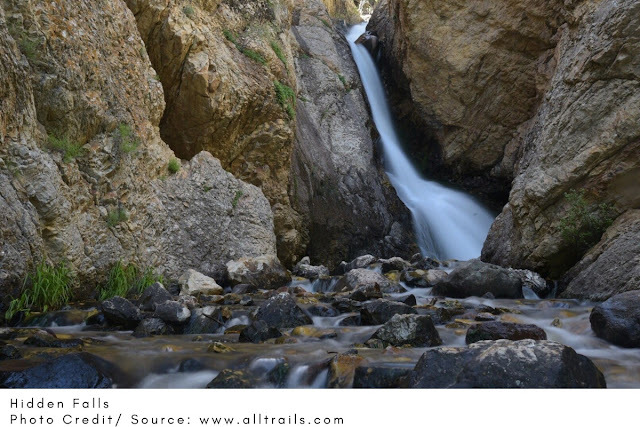 These Falls are located on the lower side of the Adams Canyon and it's about 1.5 miles roundtrip. The trail is relatively kid-friendly, thus a great place for a family outing. It starts with a steep climb, but after 10 switchbacks, the trail eventually evens out. A little climb down will take you straight to the waterfalls. The trail to these Falls is not only beautiful but also flat and quite easy – thus a perfect spot for a family outing. Its hike takes you through the shaded trees and crosses the stream a few times. After about 1/4 miles, you will reach the waterfall which has curved its own grotto. 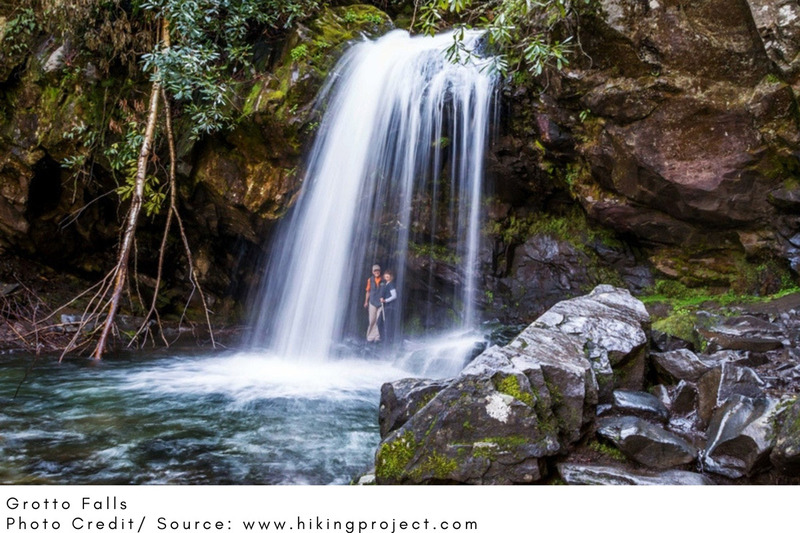 There’s a shallow pool at the waterfall that is a popular spot for fun activities such as wading. The roundtrip of this trail is 0.5 miles. This is a small waterfall (more of a trickle, actually) with a trail located east of Cedar City near Duck Creek. I would suggest you take this hike during the spring when the Falls will be larger. The beautiful thing about this spot is that the Cascade Falls come directly out of the rock giving an amazing view. The 1-mile round-trip is quite fun, and it is not a surprise that people actually enjoy the hike more than they do the Falls. Also, you might consider setting off early to avoid the heat of the day since there are no shades around. 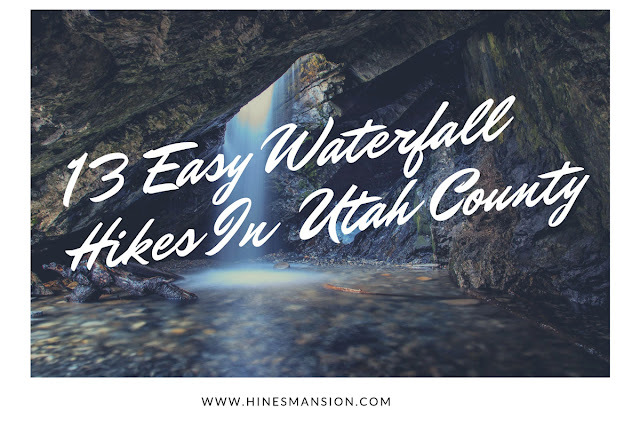 Bridal Veil is among the most known waterfalls in Utah. Once at the waterfall, you will find another paved trail leading to a small pool below. 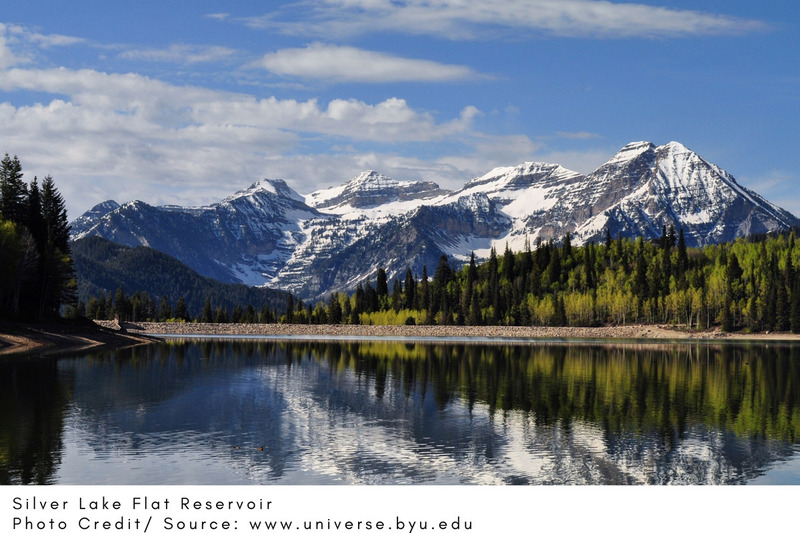 Here, you can walk in the shallow waters while enjoying the beauty of Provo Canyon. There’s also a fish pond nearby where you can feed the fish if you want to. The hike to the falls is relatively easy since it consists of a 1/4 mile round-trip. These falls are also located in Provo Canyon, just a mile north from the Bridal Veil Falls. The trail is a steep climb, with only 0.6 miles roundtrip – but once on top, you will enjoy the epic view of the 40-foot waterfall crashing down. You will walk up some stairs, through a neighborhood in Sandy, and right onto the Rocky Mouth Falls Trail. Its trail is relatively short with a little bit of a climb to the waterfall. You can also choose to explore the several caves along the trail. The best part is that you can visit this spot in the spring, summer, or fall, and still have an amazing experience. It is not exactly a waterfall but it is still one highly recommended family spot for cooling off, especially in the summer. One big advantage of this spot is that its trails are paved – making it easy to push a stroller or wheelchair. As you walk along this trail, you will hear water dripping from the river banks. There’s a steep walk down to the river’s edge that takes you to the largest area of Dripping Rocks – which is a perfect spot for wading. The roundtrip for this hike is 1 mile. Located in Little Cottonwood Canyon, Lisa Falls is home to lots of beautiful hikes and scenery. The best thing about this waterfall is that it is unique and the trail leading to it is super short. However, the 0.3-mile hike is filled with lots of big rocks scattered along the way. Though it is a relatively short distance, it is essential that you look out for your little ones. Utah County is no doubt a popular tourist destination mainly because of its numerous natural features. Because of this, you will find that it always receives visitors all year round. It is essential to plan your trip early so as to avoid the many hassles that come with the last minute rush. 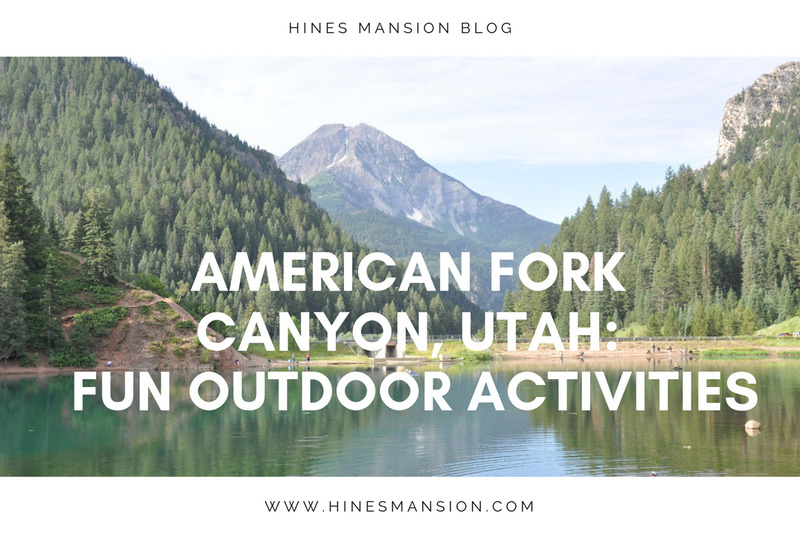 American Fork Canyon, situated in the Wasatch Mountains of Utah, is named after the American Fork River which runs through the bottom of the Canyon. To most, it is a well-known destination because of its popular Timpanogos Cave National Monument. The Canyon is home to a good number of hiking, biking, camping, snowshoeing, and backcountry skiing adventures. 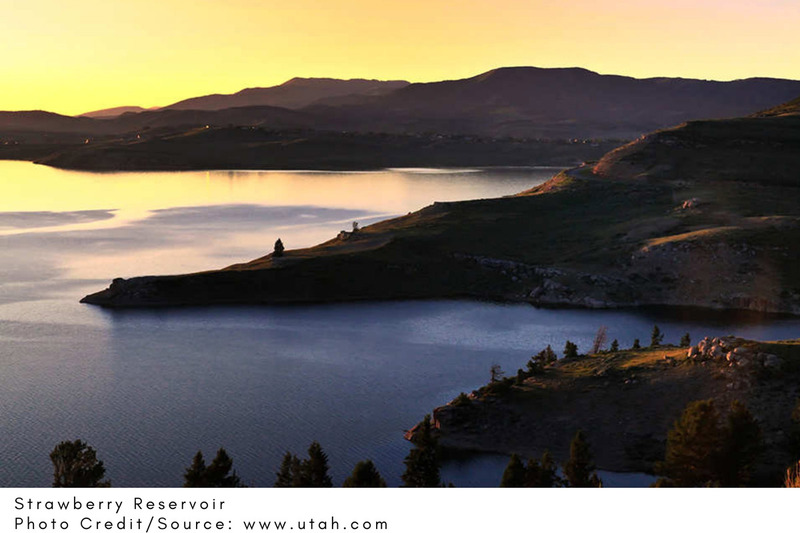 Its proximity to Salt Lake makes it the perfect place to be for a full day of vigorous workouts and adventures. For those who love rock climbing, there’s a spot for everyone regardless of your skill level. Visitors can choose from a variety of routes and enjoy a little bouldering and top-roping. 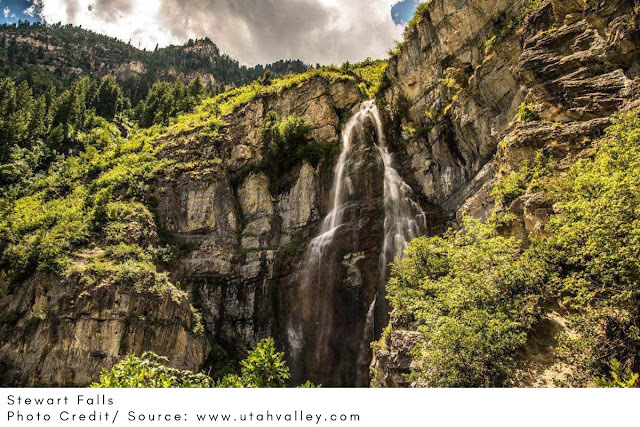 The little lakes and waterfalls in the American Fork Canyon are sights you should not miss. In the winter, the Canyon becomes a little paradise for snowshoeing, snowmobiling, cross-country, and back-country skiing enthusiasts. During the warmer seasons, it is a favorite attraction for cyclists and four-wheel drivers. The Canyon is quite dog-friendly so you can bring your furry friend along for a hike! You can access the area by State Route 92, through the Alpine Loop Scenic Byway. Follow the route for about 7.7 miles and it will lead you to the fee station at the mouth of the Canyon. When accessing the Canyon from the west, the SR-92 will take you past the Alpine Loop Summit, Sundance Ski Resort and then out into the Provo Canyon in the south. There’s, however, a small affordable fee paid at the entrance to facilitate and maintain visitor services, recreational facilities, and to protect wildlife & natural resources in the area. The fees for vehicles are as low as $6 for 3 days, $12 for 7 days, and $45 for an annual gate pass. American Folk Canyon is generally cooler in the warm seasons. You might, therefore, consider carrying a light jacket in the summer, and more layers during the spring and fall seasons. If you are looking forward to a short, satisfactory, and relatively easy hike, Silver Lake is the perfect place for you. 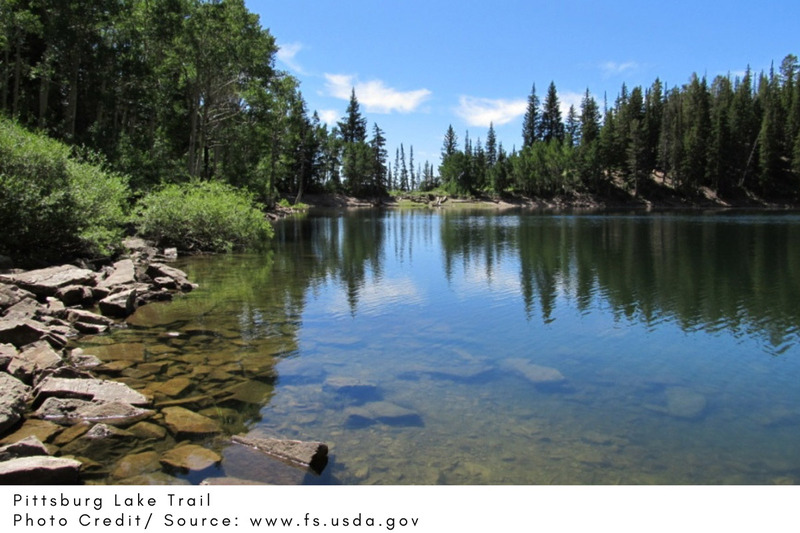 You can hike the 3-4 mile Silver Lake Trail right into the Lone Peak Wilderness area. 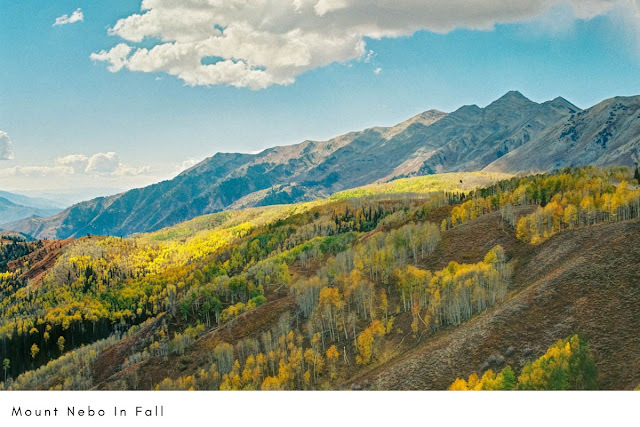 A hike to Silver Lake will take you through groves of quaking aspens, meadows, and over clear mountain streams – perfect for nature fanatics. The last mile heading towards the lake consists of a trail that continues to climb steadily. The last third of the mile is the steepest part, and probably the most strenuous. In order to get to Siler Lake Trail, take I-15 to the Alpine exit and head up American Fork Canyon until you get to the fork in the road. Take the left fork and head towards Tibble Fork Reservoir. Once there, you will find a paved road heading north. The paved road winds up the canyon, and if you follow it, will lead you to Silver Lake. The Cascade Springs, which are fed by precipitation from the mountains should definitely be a place of interest during a trip to American Fork Canyon. At least 7 million gallons of water reaches the impermeable rock daily before flowing out to feed the streams. The combination of paths in the area allows visitors to explore beautiful waterfalls and ponds within. Cascade Springs is accessible through lower and upper trails. The lower trails are quite friendly and can be accessed by wheelchair. The upper ones might be a bit steep and may require you to climb some stairs. In order to get to the Cascade Springs, you should take the Alpine Scene Loop up the American Fork Canyon. Once on the summit, you will come across a turn off marked Cascade Springs. Stewart Falls has two tiers and is over 200 feet tall making it one of the most scenic and photogenic waterfalls in northern Utah. It can be enjoyed by family members of all ages, regardless of their hiking abilities. 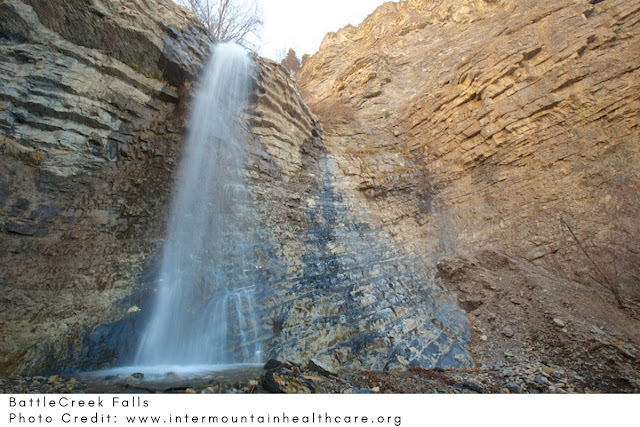 You can access the falls from two different locations; via Aspen Grove or through the Sundance Resort. Their parking lot is big and can accommodate many vehicles. Parking problems aside, you also don’t have to worry about where you will spend your night since they offer restrooms. On your hike to the falls, you will come across a rocky overlook that has a very steep cliff on one side. This spot gives you a perfect view of the surroundings and it is also a great place to take pictures. Heading down is a steep trail that leads you to the base of the falls. It allows you to get close enough to enjoy the sprays coming off the falls. The Pittsburg Lake Trail is regarded as one of the best hikes in the area, mainly because of its beautiful mountain surroundings. The area around the Lake offers a perfect campsite with a great view of the mountains. Access to the trail can be a bit tedious, but once you get to the Lake, you will find that your efforts were worth it. The trail itself is an old mining road about 1-1.5 miles long. Once on the Lake, you can enjoy the view of the waterfalls on the west and north side coming from the melting snow above. To most residents of Utah County, hiking to the peak of Mt. Timpanogos is a rite of passage. Getting on top of the second highest peak in Wasatch is an achievement most locals aim to achieve at least once in their lifetime. 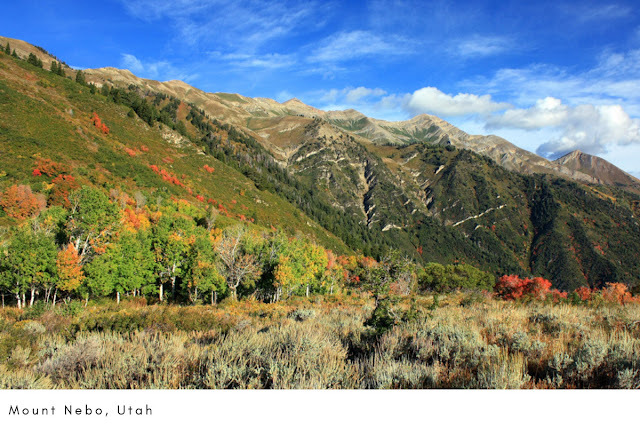 You can begin your hike from the Timpooneke Trail at the Timpooneke Campground in American Fork Canyon. Alternatively, you can use the Aspen Grove Trail past Sundance. The Timpooneke Trail is 14.5 miles long and takes anywhere between 6-8 hours for an average hiker. You might, therefore, consider packing plenty of water and some warm clothes on your hike up. At 11,928 feet, Mount Nebo has the highest peak of the Wasatch Mountain Range, followed by Mount Timpanogos' peak which stands 179 feet lower. Mountain Nebo’s peaks are close enough to the Wasatch for a day’s trip, and yet far enough off the beaten path so as not to feel so crowded. The stunning views it offers, both from the hike and the summit have made it one of the most favorite attractions in the area. In the fall, the turning and falling leaves along the Nebo Loop can only be described as epic. For a moment, you might think you are in a magical world! The trail leads to a wilderness area, from which the visitors are encouraged to absorb and enjoy nature. Well, that explains why Mount Nebo has always been recognized as a ‘source of life’ since the early settlers’ days. With over 3000 feet gain, it is considered a strenuous hike and it would be better if you were well prepared for it. The first 8-9 miles are not that harsh and most visitors cover it without much of a hassle. Beyond that point, an elevation gain comes all at once in two short sections – making it a complete thigh-buster. Be prepared to carry your own water pack since there are no natural water sources along the trail. Also, make sure that you keep an eye out for the storms that sometimes hit the summit. They can be quite harsh – and there have been some funny incidents in which they were reported to chase visitors off the summit. You can best avoid them by starting your hike early in the morning. 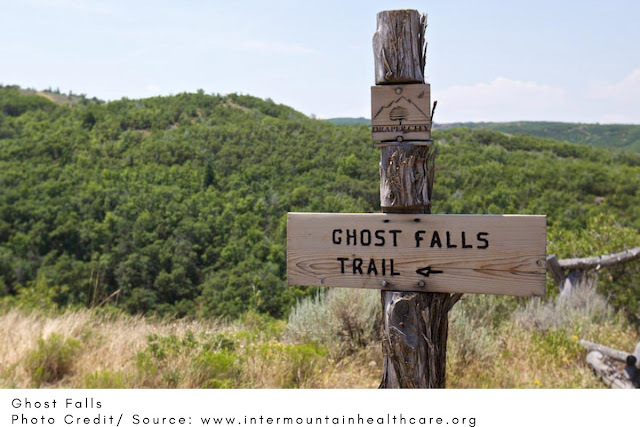 Along the trail, it is highly likely that you will come across wildlife, bighorn sheep and deer – which are a frequent sighting in the area. You better keep an eye out for them too. Take the exit 250 for UT-115 toward Payson and head south on Main Street for 0.8 miles, then turn left on 100 North. Follow 100 North for approximately 0.5 miles and turn right on the 600 East. Once on the Nebo Loop road, drive for about 24 miles until you reach the Nebo Bench/Monument Trail on the right. But instead of pulling into the Monument Trail, turn left and follow the Mona Pole Road for 0.4 miles. You will come across a trailhead and a decent camping spot right across the road. You can start hiking from there, or you can follow the fence-line for another 3 miles to a second parking area – slightly closer to your destination. From the trailhead, follow the signed trail 089 up the mountain. It is hard to miss since it follows the fence line. The North Peak should be the first objective and you should be able to see it to the west. As you follow the trail, it meanders up losing a little elevation, before beginning to gain elevation once more and leaving the fence. The trail leads south along the North Peak ridge briefly and then contours off the west to Wolf Pass. At Wolf Pass, you can enjoy stunning views toward Ephraim and also catch your breath before the final trek. The final trail climbs steeply on the ridge and leads to a false summit – from where the ridge transverse begins. The trail is rocky steep and can be quite treacherous. It is not a surprise that most visitors hiking the trail tend to turn back at this point. Nonetheless, it is worth it continuing to the actual summit – especially if it’s your very first time. 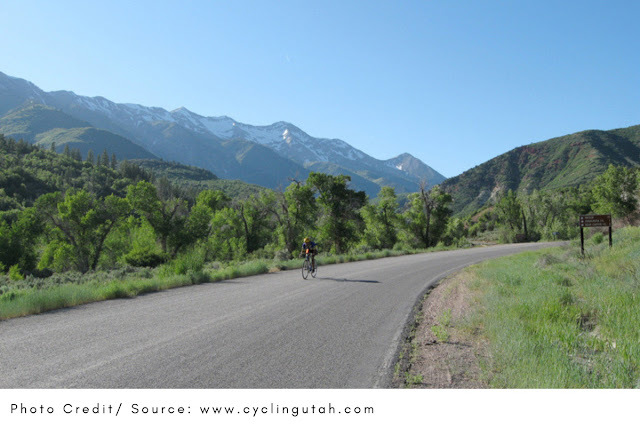 For 37 miles, the Nebo Loop climbs up through narrow forested canyons, open land of ridges, plateaus, and trails – including an overview of the Nebo Creek in the East and Utah Valley/Lake in the Northwest. Other highlights that are hard to miss along the Nebo Loop scenic way include, the Devil's Kitchen and the Payson Lakes. Many visitors heading to Mount Nebo often extend their vacation by heading to these two locations. The Nebo Loop road heads due north along the valley, past several farm buildings and into the Uinta National Forest where all development stops. From there, you will pass the Jenkins Flat Interpretive Site and a junction with a side road heading to the southern Mount Nebo Trailhead. The elevation increases at the head of the valley as the road becomes narrow and winding. Just a little bit further, you will first overlook the Salt Creek Valley and the San Pitch Mountains, before reaching the parking area of the Devil's Kitchen geologic area. The access trail is just a quarter mile long and leads to a railed viewpoint on the edge of an eroded ravine containing a collection of pointed conglomerate formations. Devil's Kitchen has been called ‘overwhelming’ because the rocks are quite a sight – which are made even more colorful when they contrast with the dark greens of the enclosing trees. 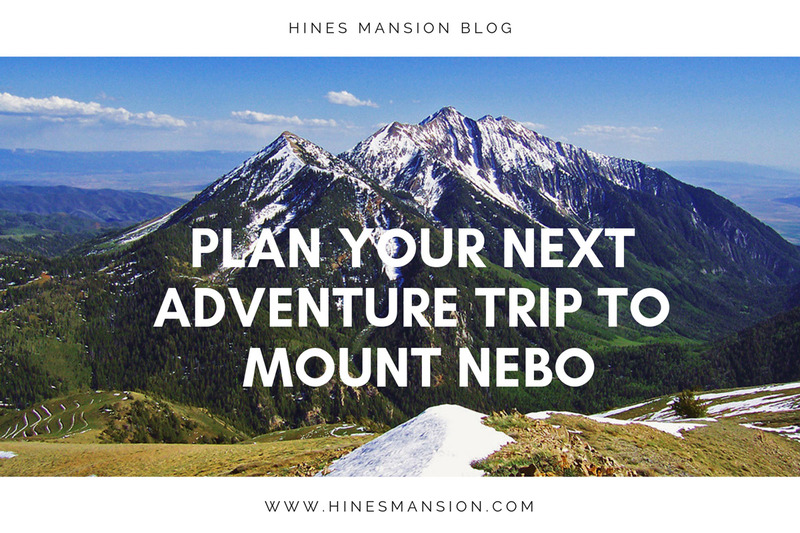 Even before you start the tedious hike towards Mount Nebo, you can still enjoy the view of the dramatic peak while you drive along the northern side of the uneven terrain. Nebo Bench Trail off the summit is located a little further along the drive. Along the northern side of the road, you will come across more viewpoints such as the 10,913 foot Bald Mountain, Utah Valley, and Beaver Dam. 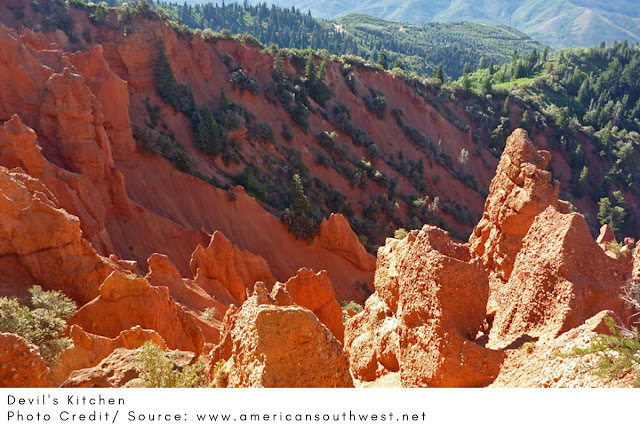 Further up, you will come across the three Payson Lakes – which is the only sighting that requires a day use fee. You can, however, save your cash by parking along the Highway and walking a short distance west. Beyond that, the road begins its descent a few miles north of the lake and drops steeply down into Payson Canyon. After a short, level stretch along the valley floor, you will eventually emerge at the South-east edge of Payson.